Imagine you want to measure the size of a room, but it’s completely dark. If you shout, you can tell if the space you’re in is relatively big or small, depending on how long it takes to hear the echo after it bounces off the wall. Astronomers use this principle to study objects so distant that they can’t be seen as more than points. In particular, researchers are interested in calculating how far young stars are from the inner edge of their surrounding protoplanetary disks. These disks of gas and dust are sites where planets form over the course of millions of years. Meng is the first author on a new study published in the Astrophysical Journal using data from NASA’s Spitzer Space Telescope and four ground-based telescopes to determine the distance from a star to the inner rim of its surrounding protoplanetary disk. Making the measurement wasn’t as simple as laying a ruler on top of a photograph. Doing so would be as impossible as using a satellite photo of your computer screen to measure the width of the period at the end of this sentence. Instead, researchers used a method called “photo-reverberation,” also known as “light echoes.” When the central star brightens, some of the light hits the surrounding disk, causing a delayed “echo.” Scientists measured the time it took for light coming directly from the star to reach Earth, then waited for its echo to arrive. Thanks to Albert Einstein’s theory of special relativity, we know that light travels at a constant speed. To determine a given distance, astronomers can multiply the speed of light by the time light takes to get from one point to another. To take advantage of this formula, scientists needed to find a star with variable emission — that is, a star that emits radiation in an unpredictable, uneven manner. Our own sun has a fairly stable emission, but a variable star would have unique, detectable changes in radiation that could be used for picking up corresponding light echoes. Young stars, which have variable emission, are the best candidates. The star used in this study is called YLW 16B, which lies about 400 light-years from Earth. YLW 16B has about the same mass as our sun, but at one million years old, it’s just a baby compared to our 4.6-billion-year-old home star. Astronomers combined Spitzer data with observations from ground-based telescopes: the Mayall telescope at Kitt Peak National Observatory in Arizona, the SOAR and SMARTS telescopes in Chile, and the Harold L. Johnson telescope in Mexico. During two nights of observation, researchers saw consistent time lags between the stellar emissions and their echoes in the surrounding disk. The ground-based observatories detected the shorter-wavelength infrared light emitted directly from the star, and Spitzer observed the longer-wavelength infrared light from the disk’s echo. Because of thick interstellar clouds that block the view from Earth, astronomers could not use visible light to monitor the star. Researchers then calculated how far this light must have traveled during that time lag: about 0.08 astronomical units, which is approximately 8 percent of the distance between Earth and its sun, or one-quarter the diameter of Mercury’s orbit. This was slightly smaller than previous estimates with indirect techniques, but consistent with theoretical expectations. Previously, astronomers have used the light echo technique to measure the size of accretion disks of material around supermassive black holes. Since no light escapes from a black hole, researchers compare light from the inner edge of the accretion disk to light from the outer edge to determine the disk size. This technique is also used to measure the distance to other features near the accretion disk, such as dust and the surrounding fast-moving gas. The Spitzer study marks the first time the light echo method was used in the context of protoplanetary disks. The approach can be applied to other systems of stars with planet-forming disks around them, the scientists pointed out. “Knowing the exact position of the inner boundary of a protoplanetary disk is important to anyone who wants to understand planet evolution,” Meng says. 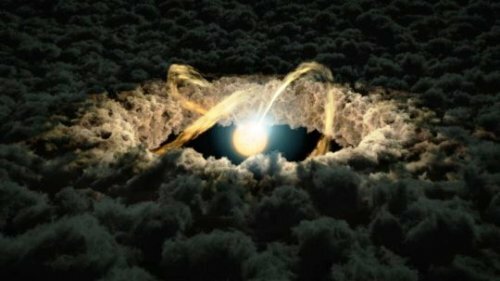 Most stars are born with a protoplanetary disk around them, and astronomers have known for a long time that there is a gap between the star and its disk because of two competing processes: Close to the star, its strong radiation ionizes gas particles in the disk, diverting them along the star’s magnetic field lines above and below the plane of the disk. The other mechanism that prevents the disk from reaching all the way to the star’s surface is heat. Once a dust particle gets too close to the star, it simply vaporizes and either falls onto the star or gets blown out of the system. “The predominant one of those two mechanisms plays an important role in the evolution of the disk, and right now, we don’t know which it is,” Meng says. Until now, astronomers used a technique called interferometry to determine the position of the inner edge of protoplanetary disks, but that method requires assumptions about the shape of the disk, resulting in controversial findings. “Our method provides a completely independent measurement of which mechanism plays the predominant role now and in the future,” Meng says. A giant star that exploded 30 million years ago in a galaxy near Earth had a radius prior to going supernova that was 200 times larger than our Sun, according to astrophysicists at Southern Methodist University, Dallas. The sudden blast hurled material outward from the star at a speed of 10,000 kilometers a second. That’s equivalent to 36 million kilometers an hour or 22.4 million miles an hour, said SMU physicist Govinda Dhungana, lead author on the new analysis. 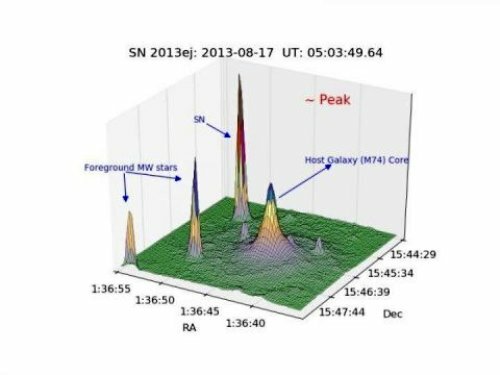 Dhungana and colleagues were able to explore SN 2013ej via a rare collection of extensive data from seven ground-based telescopes and NASA’s Swift satellite. The data span a time period prior to appearance of the supernova in July 2013 until more than 450 days after. Peering to the outskirts of our solar system, NASA’s Hubble Space Telescope has spotted a small, dark moon orbiting Makemake, the second brightest icy dwarf planet — after Pluto — in the Kuiper Belt. The observations were made in April 2015 with Hubble’s Wide Field Camera 3. Hubble’s unique ability to see faint objects near bright ones, together with its sharp resolution, allowed astronomers to pluck out the moon from Makemake’s glare. The discovery was announced today in a Minor Planet Electronic Circular. The observing team used the same Hubble technique to observe the moon as they did for finding the small satellites of Pluto in 2005, 2011, and 2012. Several previous searches around Makemake had turned up empty. “Our preliminary estimates show that the moon’s orbit seems to be edge-on, and that means that often when you look at the system you are going to miss the moon because it gets lost in the bright glare of Makemake,” said Alex Parker of Southwest Research Institute, Boulder, Colorado, who led the image analysis for the observations. A moon’s discovery can provide valuable information on the dwarf-planet system. By measuring the moon’s orbit, astronomers can calculate a mass for the system and gain insight into its evolution. The researchers will need more Hubble observations to make accurate measurements to determine if the moon’s orbit is elliptical or circular. Preliminary estimates indicate that if the moon is in a circular orbit, it completes a circuit around Makemake in 12 days or longer. Determining the shape of the moon’s orbit will help settle the question of its origin. A tight circular orbit means that MK 2 is probably the product of a collision between Makemake and another Kuiper Belt Object. If the moon is in a wide, elongated orbit, it is more likely to be a captured object from the Kuiper Belt. Either event would have likely occurred several billion years ago, when the solar system was young. 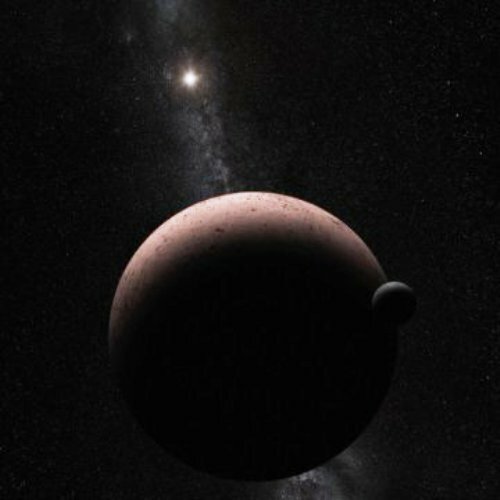 The discovery may have solved one mystery about Makemake. Previous infrared studies of the dwarf planet revealed that while Makemake’s surface is almost entirely bright and very cold, some areas appear warmer than other areas. Astronomers had suggested that this discrepancy may be due to the sun warming discrete dark patches on Makemake’s surface. However, unless Makemake is in a special orientation, these dark patches should make the dwarf planet’s brightness vary substantially as it rotates. But this amount of variability has never been observed. These previous infrared data did not have sufficient resolution to separate Makemake from MK 2. The team’s reanalysis, based on the new Hubble observations, suggests that much of the warmer surface detected previously in infrared light may, in reality, simply have been the dark surface of the companion MK 2. When Pluto’s moon Charon was discovered in 1978, astronomers quickly calculated the mass of the system. Pluto’s mass was hundreds of times smaller than the mass originally estimated when it was found in 1930. With Charon’s discovery, astronomers suddenly knew something was fundamentally different about Pluto. “That’s the kind of transformative measurement that having a satellite can enable,” Parker said. 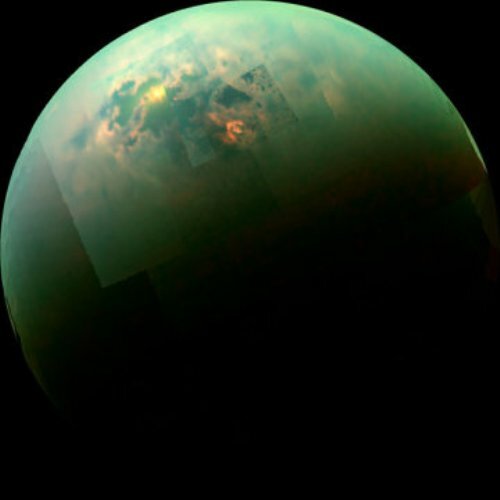 Could Ferocious Lightning Storms On Other Planets Beam Radio Signals To Earth? 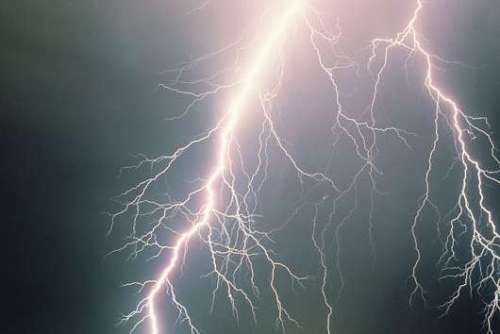 Ferocious lightning storms millions of times more powerful than those on Earth could be responsible for unexplained radio signals from planets orbiting other stars. That is the finding of researchers from the University of St Andrews School of Physics and Astronomy in a piece of work published today (25 April 2016). In 2009 French astronomers observed what was thought to be a weak radio signal coming from the exoplanet HAT-P-11b, a “mini-Neptune” about five times bigger in size than the Earth and 26 times more massive. The following year the French team made an attempt to locate the signal again, but was unsuccessful leaving the phenomenon unexplained. Assuming that the underlying physics of lighting is the same for all Solar System planets, like Earth and Saturn, as well as on HAT-P-11b, the researchers found that 53 lightning flashes of Saturnian lightning-strength in a km2 per hour would explain the observed radio signal on HAT-P-11b. Miss Hodosán continued: “Such enormous thunderstorms are not unreasonable. “Studies conducted by our group have also shown that exoplanets orbiting really close to their host star have very dynamic atmospheres, meaning that they change continuously, producing clouds of different sizes, even whole cloud systems, all over the planet’s surface. The team hoped that this intensity of lightning could be observed with optical telescopes but were thwarted by the powerful light emissions from the star around which HAT-P-11b orbits. The process of lightning discharges involves plasma processes at very high temperatures and the release of a large amount of energy. This results in chemical reactions in the atmosphere that otherwise would not occur. These reactions produce molecules that can be used as lighting tracers. The team considered whether such enormous thunderstorm clouds produce these tracer molecules, which then could be observed by Earth-telescopes, and suggested hydrogen cyanide (HCN) to be such a potential fingerprint of lightning. This molecule could be observable in the infrared spectral band, even years after the huge storm on HAT-P-11b would have occurred. Miss Hodosán said: “In the future, combined radio and infrared observations may lead to the first detection of lightning on an extrasolar planet. Author Mitch BattrosPosted on April 26, 2016 May 5, 2016 Categories AstronomyTags Could ferocious lightning storms on other planets beam radio signals to Earth? 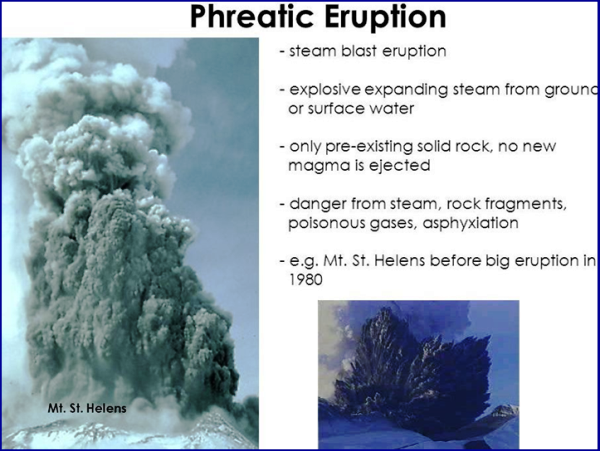 One type of a volcanic eruption, a phreatic (steam) eruption, which involves external water, is particularly energetic causing a disproportionate number of fatalities. Throughout the centuries, volcanic eruptions have claimed hundreds of thousands of lives due in part to the lack of accurate signs indicating imminent eruptions. Phreatic eruptions are extremely difficult to forecast, often occurring with little or no geophysical precursors. Recently, researchers at the Deep Carbon Observatory (DCO), led by Maarten de Moor from the Observatorio Vulcanológico y Sismológico de Costa Rica, Universidad Nacional, Heredia, Costa Rica, (and postdoc at UNM) along with University of New Mexico Professor Tobias Fischer, Department of Planetary Sciences and chair of the Deep Earth Carbon Degassing initiative, measured gas emissions from crater lake at Poás volcano in Costa Rica, in an attempt to determine some of the precursors to major volcanic eruptions. 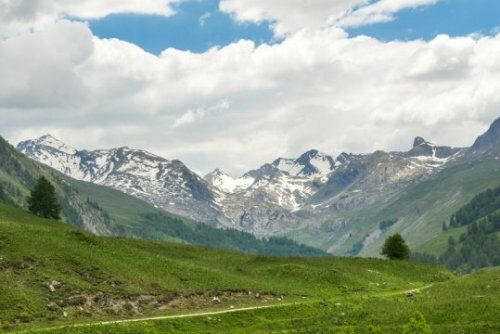 In a new article, published in Earth and Planetary Science Letters recently, the results from a DECADE (Deep Earth Carbon Degassing initiative) project to investigate gas emissions at Poás have delivered promising results. The team measured gas emissions from the crater lake in situ using a fixed multiple gas analyzer station (Multi-GAS) during a two month period of phreatic activity in 2014. The lake was the site of intense phreatic eruptive behavior between 2006 and 2014. Both accuracy and precision are important in the Multi-GAS measurements. The Multi-GAS instrument measures gas ratios, such as SO2/ CO2 and H2S / SO2. Precision, or the reproducibility, of the Multi-GAS measurements is important when comparing data points within the researchers’ dataset. The gas composition data show significant variations in the ratio between SO2 and CO2, which are statistically correlated with both the occurrence and the size of phreatic eruptions. The scientists found that the composition of gas emitted directly from the lake approaches that of magmatic gas days before large phreatic eruptions. “My main concern is simply trying to keeping these instruments running at active volcanoes, because they are constantly being damaged by toxic gases and eruptions,” said de Moor. “If we can acquire good time-series data, we will learn a lot more about how volcanoes work, why they erupt, and how to predict explosions.